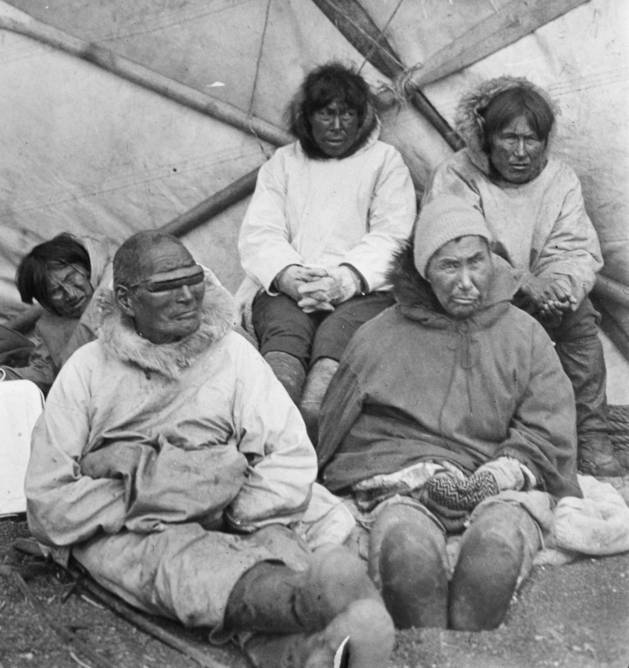 An Iñupiaq man (front left) wears snow goggles. Barrow, c1925. Courtesy of the Archives, University of Alaska Fairbanks, Presbytery of the Yukon Collection, 1995-0244-01421.